The US Government has asked a federal court in Georgia to dismiss the indictment against an alleged pirate app store operator. This means that, after more than half a decade, this case will be closed. The US previously accused the defendant of being linked to Applanet, but could not back up the copyright infringement charges. 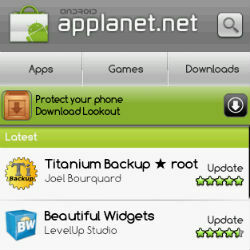 Assisted by police in France and the Netherlands, the FBI took down the “pirate” Android stores Appbucket, Applanet, and SnappzMarket during the summer of 2012. During the years that followed several people connected to the Android app sites were arrested and indicted, resulting in prison sentences for some. SnappzMarket’s Scott Walton was handed a 46-month prison sentence for conspiracy to commit copyright infringement, and his colleague Joshua Taylor was sentenced to a 16-month term. While some defendants pleaded guilty in order to get a reduced sentence, not all did. David Lee, a California man linked to Applanet, decided to fight the case instead, and not without success. The US Government had charged Lee with aiding and abetting criminal copyright infringement (pdf). In addition, he was charged with conspiring to infringe copyrights and violating the DMCA’s anti-circumvention provision. As the case progressed, it became clear that the U.S. Government’s evidence wasn’t as strong as initially thought. Before the trial even started, the prosecution voluntarily dropped the criminal copyright infringement charge. What remained was the conspiracy charge, but after hearing evidence and testimony from both sides of the case, the jury was unable to issue a unanimous decision. As a result, the case ended in a mistrial two years ago. The Department of Justice did not let the case go though. Soon after the mistrial, it informed the court that it would re-try Lee. This second trial was delayed a few times but never took place. Instead, the US Government asked the court to dismiss the indictment against the alleged pirate app store operator, without providing any context. This request was granted earlier this week, which means that Lee is relieved of all charges. It is not clear what moved the US to dismiss the case. TorrentFreak contacted both Lee’s lawyers and the US Department of Justice for comment, but at the time of publication, we have yet to hear back. 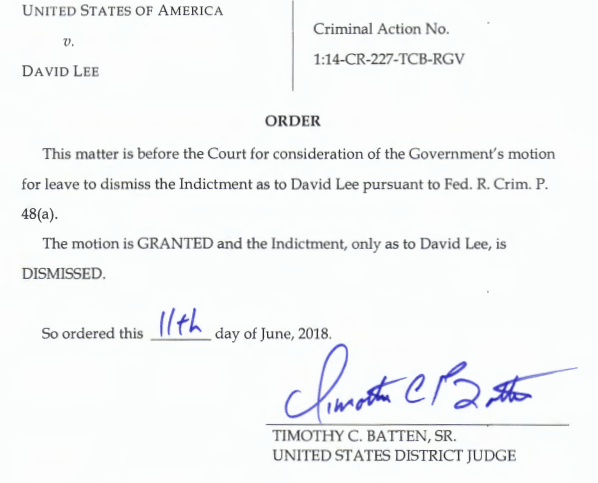 However, with the indictment dismissed, Lee can close this chapter of his life after nearly six years.